Swirl, twirl, and curl! This Silver Curling Ribbon will add some curly sues into your gift wrapping, making your gifts shine extra bright all the while bringing some needed fun into the mix. Curling ribbon is great for when you want to give a super boost into your gifts. Its ability to curl will bring some added decor into anything you decide on! From Christmas gifts to birthday decorations to simply tying your shoes together, this silver ribbon will make your days shimmer. The silver color is super elegant and the curls will keep that fun factor up high – a great combination for any item. So curl up with some needed silver and make your gifts, arts and crafts, or decorations extra beautiful, extra elegant, and extra curly! 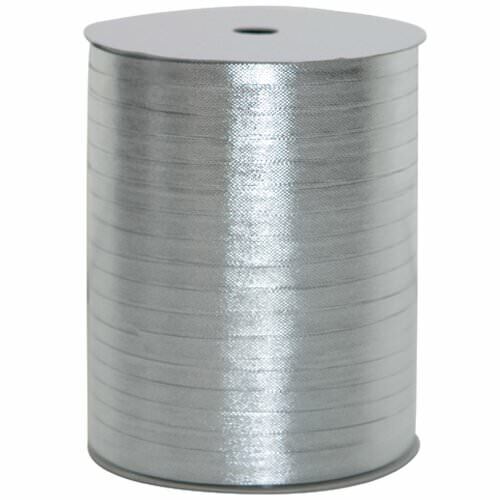 Silver Curling Ribbon is available in 1 spool of 300 feet or 1 egg of 66 feet. The ribbon eggs are available in both Silver Hologram and Silver.